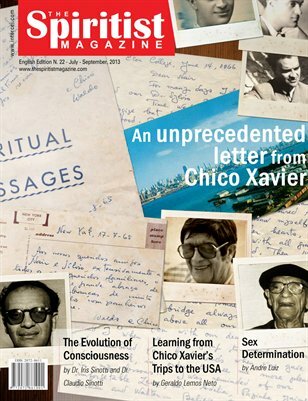 Exclusive letter from Chico Xavier containing contents that are unprecedented and insightful. Learn from Chico Xavier's two trips to the USA. Also, unique interview with the renowned Divaldo Franco on his Spiritist trips since 1976. Brother X teaches us on the best Defense Against Obsession... and much, really much for to lead anyone into a better life.